Gliding windows prices will fluctuate from $115 to $750 – this is the total price for both windows and installation. Explore general gliding windows cost ranges and find out what actual homeowners paid for gliding windows. Entry level gliders are often available at retail stores like Lowes and Home Depot. The frame is usually a low or mid grade vinyl. It may only be available in a limited range of colors and features. The window glass may use a low in fill, but may have a higher than ideal R and U value. Standard gliders will be a mid grade window using a quality vinyl, composite or uPVC window. The glass package might be e-low, double paned with an argon fill. 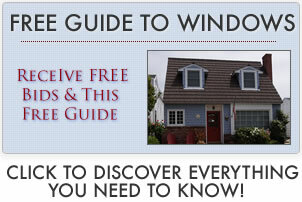 High end glider windows will usually come from mid range or high end company or manufacturer. The frame will be wood or fiberglass clad with wood interior. The glass package will either be double or triple pane glass, along with fills, energy efficient glass and perhaps foam insulated. Gliders windows cost will run $40 to $250 for window installation cost. Simple replacements (also called inserts) that can be placed into an existing opening will be at the lower end of the installation cost range. If the contractor has to do framing work, replace rotten trims or sills or make extensive changes to the size of the opening, the cost will then go into the mid and upper ranges. This includes glider window and installation. This includes gliding window and installation. Bid for project in 2008. Price did not include installation.